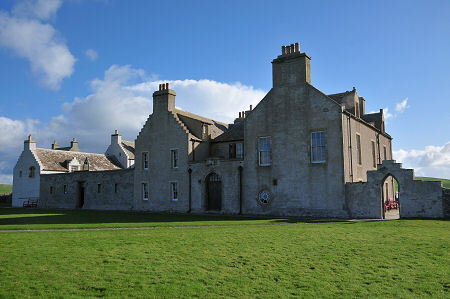 Skaill House is Orkney's finest large mansion. It lies close to the shore at Skaill Bay and represents the last four hundred years in a continuous story of habitation of the area that dates back 5,000 years. For many visitors, Skaill House is overshadowed by its older neighbour, Skara Brae. The house lies two hundred yards inland from Skara Brae, and it was the Laird of Breckness living at Skaill who recognised the significance of what emerged after a storm cleared part of the ancient site of its enveloping sand in 1850. 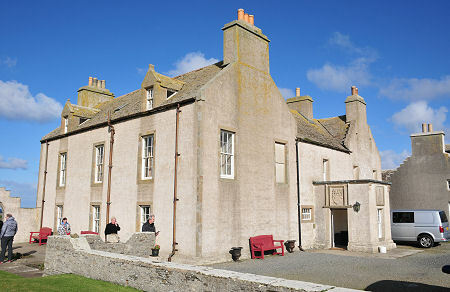 The public areas of Skaill House are today managed by Historic Environment Scotland and visitors to Skara Brae will find their tickets provide access to Skaill House as well (when it is open). These are obtained from the Skara Brae Visitor Centre. 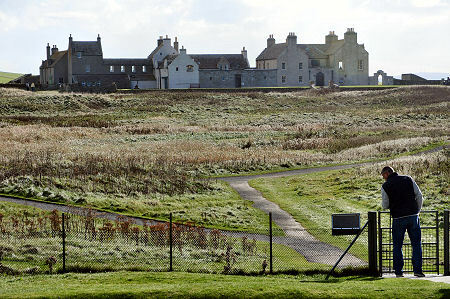 Note that unlike Skara Brae, Skaill House is closed to the public in winter. There was probably an earlier "Old Hall" on this site dating back to the 1500s. 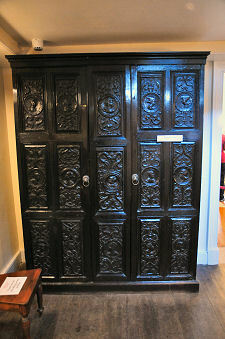 However, the history of Skaill House goes back to 1615, when the estate passed to Bishop George Graham following the trial and execution of Earl Patrick Stewart. He built what is now the central wing of the house in about 1620, probably converting the earlier hall into a separate building now forming part of the north wing. 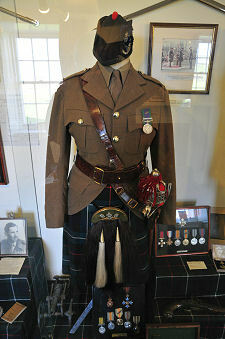 The property has since passed down through his family, with occasional sideways leaps across the family tree, to the current incumbent, the 12th Laird of Breckness, Major M.R.S. Macrae. 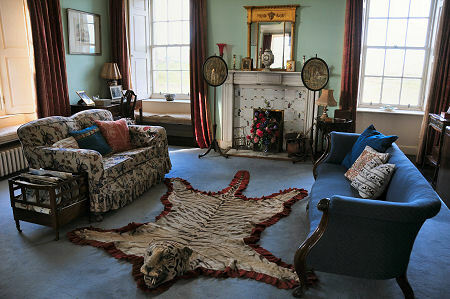 Over a 400 year period Skaill House has been continuously enlarged and improved. The two free standing wings were joined into a square around a courtyard by 1770, when a dovecot, chapel and walled garden were also added. 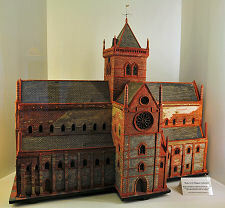 By the 1880s significant extensions had been added to the two ends of the building, though the chapel had been demolished in 1806. Much of the appearance of today's house dates back only as far as the 1950s. Large scale alterations were made throughout the structure, two new two storey wings were added, together with a third storey for the tower. The arrangement of the public areas on view today date back largely to these later additions and alterations. For most visitors, Skaill House is first noticed dominating the skyline to their left as they walk from the Skara Brae visitor centre to the ancient village itself. From Skara Brae a path leads directly to the attractive stone stairway leading from the surrounding pasture to the lawns that lie on the long seaward side of Skaill House. The entrance lies around the other side, and your are led by signs past the now grassed-over sunken gardens en route. It would be fair to say that the outside of Skaill House is extensive, almost rambling, yet it is also strangely spartan in appearance. This may be because of the complete absence of trees from the surrounding landscape. But any sense of the spartan is quickly dismissed when you enter the house. Visitors are led via a one-way system around a series of public rooms that give a real sense of a country house that has seen a large slice of history, but which is also a nearly contemporary home. One of the grandest rooms on the ground floor is the dining room, for many years used by the 9th Laird as a museum for finds from Skara Brae. 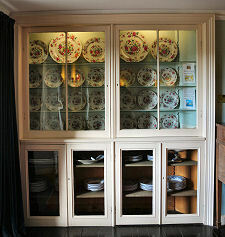 It reverted to its original use in the 1930s and gives a real feeling that it could be used this evening for a dinner party. Nearby is the cosy and attractive library and study. 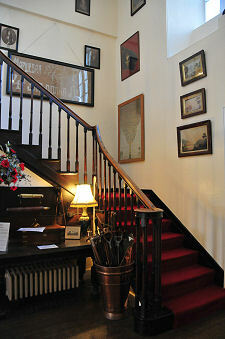 The largest public room on the upper floor is the drawing room. One end is more formal, the other an attractive group of sofas around a tiger-skin rug, which has an expression on its face that leaves you thinking it preferred life in the jungle. 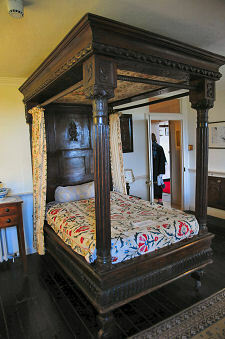 Nearby is the Bishop's Room, complete with Bishop Graham's bed, and the visitor is then taken through the Gun Room and a number of exhibitions. Skaill House's long history has left it many legacies, some less tangible than others. When the house was being prepared for opening to the public it was discovered that it had been built on the site of a Pictish burial ground. 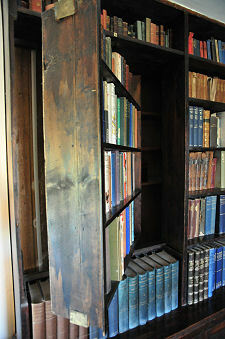 This may account for the wealth of ghost stories surrounding the house. Various residents and visitors have reported strange apparitions or experiences, and dogs seem especially sensitive to Skaill House's oldest residents. Skara Brae, though Skaill House is closed in Winter.